Spent a lovely day yesterday down my local park, chilling with a magazine, playing table tennis and having a picnic with cider! Making the most of this glorious weather whilst we have it by heading to Hyde Park today. My outfit here is pretty much all H&M! 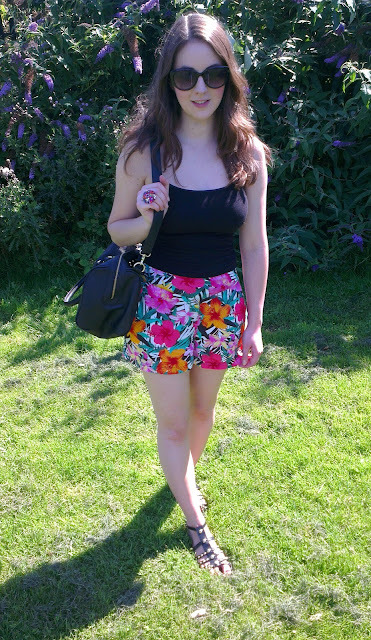 I got the tropical shorts this week for £3 in their sale, they are loose and super comfortable. Old H&M vest, old new look sandals and recent new look sunnies. 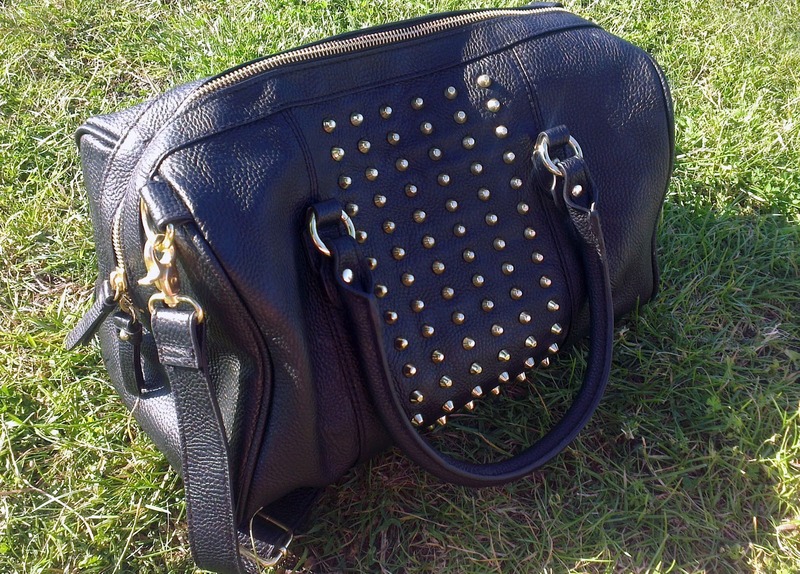 I found this stunning bag in the H&M flagship on Regent Street this week for just £29.99. I spent ages trying to decide between the white or black, but eventually chose the black as I'd probably get the white dirty with make-up and have needed a new black bag for ages. If you like this bag go snap it up soon, I don't think they will last long! wow I love your shorts, they're lovely. 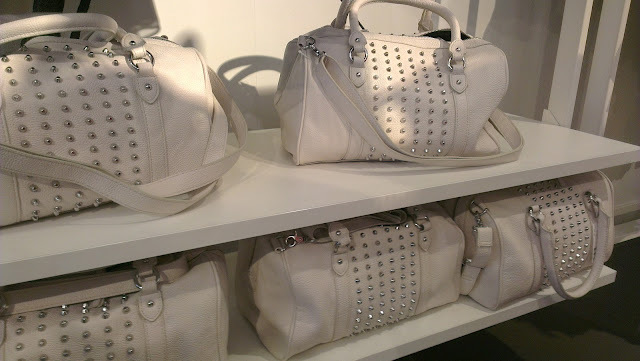 I need that bag in my life, now! I love H&M at the moment, can't believe you got those shorts for £3. What a bargain!